Business travel has its pros and cons. At first, it can be exciting to hit the road on your employer’s dime. Eventually, however, it can become tedious. The good news is it’s easy to make the most of business travel. Business travel doesn’t have to feel like work if you do it the right way. 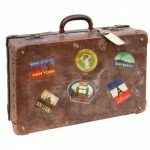 Optimizing the way you travel is important if your career is going to take you away from home frequently. You can’t succeed in your work if you’re too busy focusing on the headaches of travel. Luckily, you can take a few simple steps to enhance your travel experience, be better prepared for meetings, and earn great travel rewards. Take a look at the five ways to make the most of business travel. Joining a miles program is a smart idea if you’ll be flying frequently. Ideally, you’ll fly on the same airline. This will allow you to build miles quickly. In addition to free flights, you can earn perks. Members of airline loyalty programs receive perks like seat upgrades, priority check-in status, lounge access, and free checked bags. 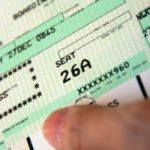 Earning enough points to reach a top-tier status and receive the best perks should be easy if you book frequent flights for business travel. A business traveler really shouldn’t be staying in the same hotels as families and honeymooning couples. A business trip requires a business-oriented hotel. Business-oriented hotels are becoming more important in light of all of the talk about laptop bans going on in the world of air travel. Hotels that cater to business travelers usually offer several key perks. These include 24-hour business centers, flexible check-in times, fitness centers with good hours, free WiFi, and meeting rooms. Do you really want to run around a new city late at night looking for a store where you can make copies or print charts? Rooms with large desks are a must, too. Staying in a business hotel can really save the day if you need to prepare a document or polish a presentation at the last minute before meeting with clients or contacts. The funny thing about business travel is that people who visit amazing cities for work don’t usually get to do any sightseeing. It can feel like you’re going from inside of the airport to inside an office building without ever stepping foot outside. This can definitely make you feel like you’re missing out. A schedule full of meetings and deadlines usually doesn’t allow a person much time to do fun things. However, getting up one hour earlier than you need to just to take a walk near your hotel can help you feel like you have a chance to connect with the city you’re visiting. Try to make a habit of stealing one hour right after you wake up to take a walk by yourself. You can justify spending a lot on a good pair of noise-canceling headphones if you travel frequently for business. Good headphones can change your life if you constantly try to fall asleep on airplanes. Having the ability to block out the noise from other passengers can be priceless. This is a small investment that can have a big payoff. Arriving at your destination feeling rested and relaxed is priceless. You will be able to hit the ground running when it comes to preparing for meetings or charming clients. Our top pick is the Bose QuietComfort 20 Acoustic Noise Cancelling Headphones. The size and quality can’t be beat. Bose also offers a wireless version. You may not be optimizing every charge you make if you don’t have a credit card that caters to business travelers. This is especially important if you work for a company that requires you to put travel expenses on your own card before being reimbursed. You can actually look forward to raking in amazing perks for no cost if you have the right card. The The Business Platinum® Card from American Express OPEN, the Ink Business Preferred? Credit Card, and the Starwood Preferred Guest® Business Credit Card from American Express all offer great up front bonus offers for cardholders who meet spending thresholds and generous perks. Lugging more than you need through the airport is the worst. Packing smart means taking only what you need. It also means using the right luggage. For those on a budget, the City Traveler Durable Nylon Business Suitcase is a good option. It typically sells for under $100 on Amazon. For those with a bigger budget, the Briggs & Riley Baseline Domestic Carry-On Upright Garment Bag is a good choice. Tracking multiple airline and hotel rewards programs can be a headache. Use free tools like Award Wallet to track all of your miles and points. You can even use the site to track your itineraries. Expense tracking can be a nightmare for frequent travelers. Your hotel and airline expenses are easy to track. It get’s more burdensome to track small-dollar purchases. Cash expenditures, such as tips, are also difficult to track. Mobile apps can save you a ton of time and aggravation. Once such app is BizXpense Tracker. This app helps you track all of your business travel expenses. It also generates pdf reports. You can find several other options on the American Express OPEN Forum.